Oh….so many good books, so little time. Being an avid reader like so many of you, do any of you have a fantasy that you could be in your favorite reading chair, area and/or place and JUST read for months at a time. Nothing else, just read! No housework, cooking, errands, limited sleep, etc., etc,. I know, I do, especially since this year I am behind in my reading by more than 50%. One of the books that I would read is by today’s guest. I received a very cordial email asking if I would read and review her book. After reading the synopsis, I wanted so badly to say yes, but then I looked to my left and saw my “requested review shelf” of my bookcase and knew I had to say no since the shelf is now double packed. But I wanted to share this author with all of you and invited her to stop by, visit, meet all of you and tell us about her book. 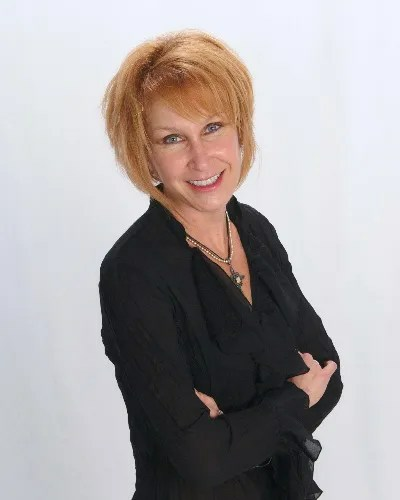 So please help me welcome Barbara Forte Abate to the group!! Growing up in the small town of Millbrook, New York, Barbara, a day-dreamy, head-in-the-clouds, middle child, never imagined being anything other than a writer. What she didn’t anticipate, was the twisted, turning, roundabout road it would take for her to get there. Not so fast forward from childhood dream…high school graduation, marriage, new baby…more new babies…moving, moving…moving again All the while pouring out stories onto yellow tablets at the kitchen table every afternoon when for a couple of hours all was quiet. 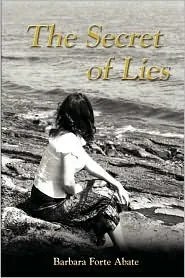 The Secret of Lies, Barbara’s debut novel, was a twenty year obsession from pen to printed volume—a number she finds hard to believe herself and which has at times caused her to question perseverance vs. sanity. And yet, had she not been so determined to hold to this quest to bring life to her stories and characters within the pages, she can’t possibly imagine what she otherwise might have been doing. While Barbara considers her four amazing children to be her proudest achievement, recent literary awards for the both the paperback and eBook editions of Secret of Lies have inspired some decidedly thrilling—jump up and down—cork-popping moments. It began in much the way of all the perfect golden summers at her aunt and uncle’s beach house. Stevie is in love with Jake, an intriguing deaf boy; so thoroughly absorbed in her new romance that she easily ignores the evidences of breakdown in her aunt and uncle’s once blissful marriage and the hairline indicators of her sister Eleanor’s role in their faltered relationship. Not until Stevie and Jake slip away from the farewell bonfire on the beach, anxious for a private moment on this last night together, will she finally be forced to confront the ugly truth of those things unfolding around her. The resulting tragedy shattering her family and leaving her emotionally paralyzed. Although desperate to leave behind the gnawing emptiness and press of memories suffocating her life, Stevie remains helplessly bound to the family farm. She eventually lands a job as an advice columnist for the local newspaper, and only then does her life finally make a turn toward steady ground, her new position as advisor to the troubled allowing her to address her own deepest feelings of love and loss. Even then, Stevie is infuriated when her mother hires a farm hand, Ash Waterman, irrationally rejecting his overtures of friendship – drawn to him as passionately as she feels determined to push him away. Her silent battle is continuous; an insurmountable sense of guilt holding her to the firm conviction that she is responsible for her family’s suffering. Despite Ash’s patient love and support she is unable to smooth the painful cracks etched deep into her memories, continuing to sacrifice her future in order to shelter the sins of the past. And it is only as Stevie feels her life spiraling out of control, that she at last comes to understand the true secret of the lies she has so diligently guarded. I HAVE ONE (1) SIGNED COPY TO GIVE AWAY.